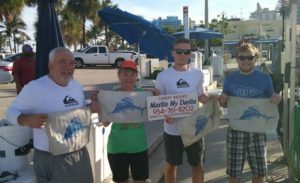 We continue to enjoy very nice weather and it has been accompanied by some good Fishing in Fort Lauderdale and our immediate surrounding areas. Gone is the cooler weather but we have had no rain despite temperatures climbing into the low 80s. Blackfin Tunas, Kingfish, Mahi-Mahi and Sailfish have been caught on our charters. A slight south/ southeast breeze has kept the sea conditions very pleasant and reasonable and we have been trolling and live baiting in water from ½ a mile to 1 ½ miles off the beach. We are seeing the Tunas in water from 200 to 400 in depth. Trolling for them has been producing some good sized fish. Trolled Blackfin Tunas here are often smaller than the ones we catch on live bait but there have been some fat ones, and trolling has also caught and likely will continue to catch the most fish. 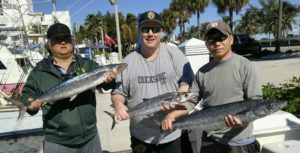 Kingfish and Mahi-Mahi continue to be here but they can be difficult to locate on some days. There have been no really large fish of either species but all of the Kings and Mahi we have landed have been of legal sized with no throwbacks. 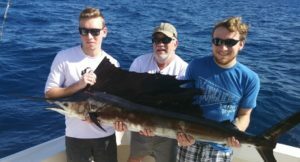 A slight north current has the Sailfish out off the edge and in water from 200 to 350 feet in depth and slowly moving to the south. Single fish for the most but pairs and small bunches with a little luck. Occasional bite on the troll but live baiting has been the best approach. Live Bally-Hoo have been best for us. We fish them on 20 pound spin gear and circle hooks. 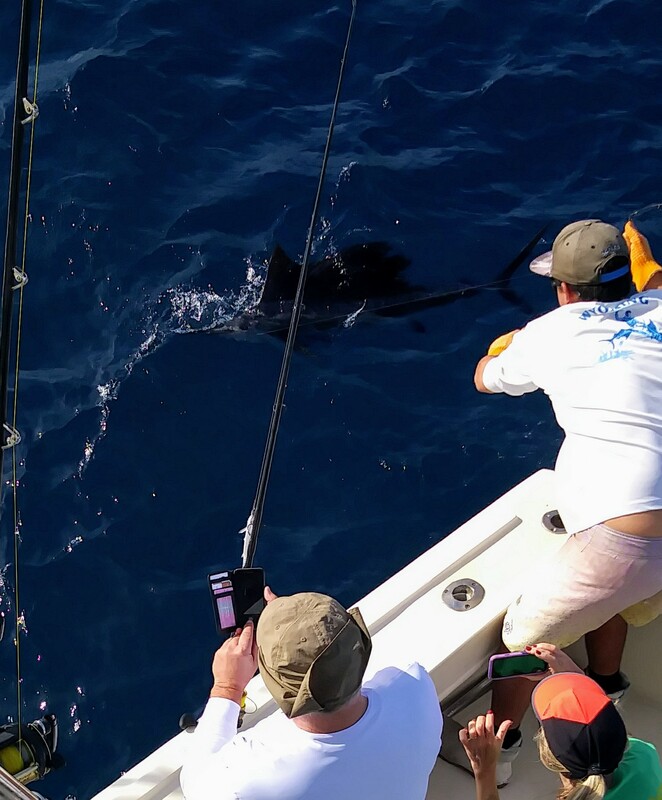 Despite fishing dredges and teasers in tight and close to the transom the Sailfish seem to prefer baits further back in the spread, the same as last week. 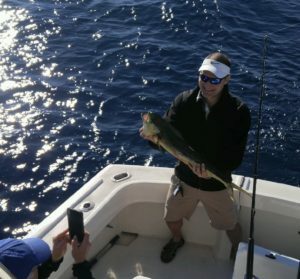 Mahi-Mahi have come inside and excited to those teasers, but only a single Sailfish showed there. The Sail bites have been on baits back in the spread despite baits positioned right up close to those dredges and teasers. That being said the bites have never the less been swift and aggressive on the longer lines back in the spread. Always fun for the charter and us as well to see them inside and very visible up close on the teasers and dredges. Hopefully we’ll get to see some Sails prowling around inside there and taking a bait fished tight to the transom @ those dredges and teasers as the week progresses.